How to watch The Lord of the Rings: The Two Towers (2002) on Netflix Argentina! 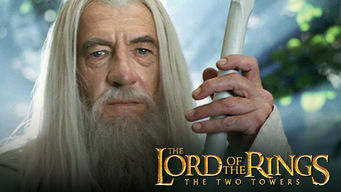 Yes, The Lord of the Rings: The Two Towers is now available on Argentine Netflix. It arrived for online streaming on October 7, 2017. We'll keep checking Netflix Argentina for The Lord of the Rings: The Two Towers, and this page will be updated with any changes. Frodo and Sam head to Mordor to destroy the One Ring of Power while Gimli, Legolas and Aragorn search for the orc-captured Merry and Pippin. A fellowship broken, a rescue mission into enemy territory and evil ceaselessly watching. The legendary saga continues.